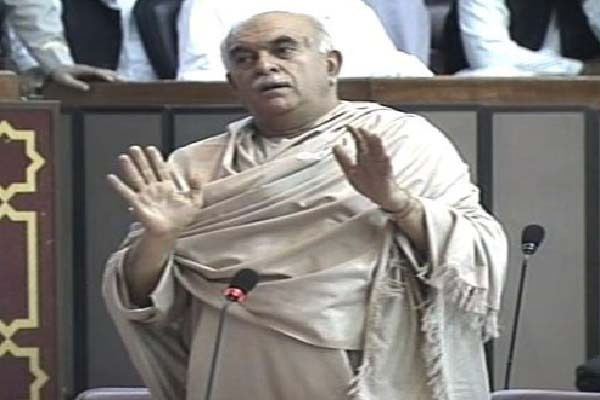 ISLAMABAD, Aug 9 (APP): Chief of Pashtoonkhwa Milli Awami Party Mehmood Khan Achakzai Tuesday called for convening a joint session of the Parliament to discuss and review interior and foreign policies to cope with the scourge of terrorism. Taking part in the debate on Quetta carnage in the National Assembly, he stressed the need to make the parliament origin of power and set up a joint front to effectively fight the menace. The war against terrorism could only be won with unity and support of the people, he added. Achakzai termed the Quetta incident a secuirty lapse. It was not sufficient to blame RAW for carrying out such gruesome attacks, but the government should find the sanctuaries of terrorists and dismanlte them, he added. He urged the government to declare the Quetta blast an attack on Pakistan like the United States had declared attacks on Twin Towers in New York an attack on America within five minutes. Achakzai said over 100,000 innocent people had lost their lives in terror acts, including thousands in Quetta. He asked the bureaucracy to focus on their official responsibilities. parliamentarians to visit Quetta for expressing solidarity with the bereaved families.